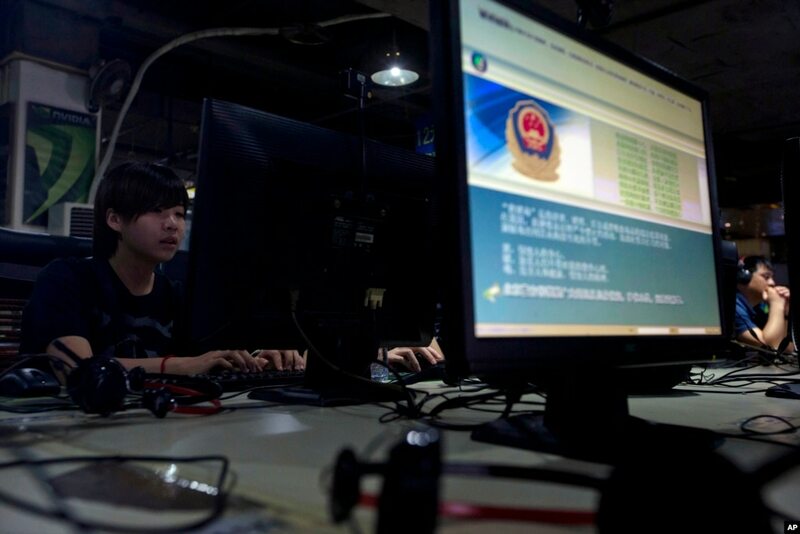 WASHINGTON— Chinese police authorities are punishing nearly 200 people for their online activities in a renewed effort to limit what can be said on the Internet. Authorities targeted several specific topic areas in identifying those who were punished, citing “inflated” death tolls following last month’s chemical explosions in Tianjin, and a report that a Beijing resident committed suicide following China’s recent stock market slump. An estimated 145 people were reportedly killed in the explosions. The ministry also said some were targeted for spreading “seditious rumors” related to China’s staged events marking the 70th anniversary of the end of World War II. Beijing hosted a large military parade and ceremony Thursday to mark the event. The crackdown is just the latest manifestation of a long-term effort by Beijing to limit online criticisms of the government and censor websites it finds objectionable. This February, China moved to block access to a number of VPN servers, angering both free-speech activists and some business leaders. VPNs, or “virtual private networks,” are used to bypass Internet censorship and filtering. In recent years, VPNs have proven very popular in China, not just among free speech activists but with many firms conducting international business from China. Last year, which marked the 25th anniversary of the massacre by Chinese military forces at Tiananmen Square, also saw significant efforts to limit speech and block hundreds of websites. Smith said his group has been monitoring a “rapid ramping up of Internet controls” in China since June 2014.